Wow, if I knew this weekend would be this busy with posts and flurries of emails and excitement I would have stocked up on iced coffee ahead of time. ^.^ Without further ado, here is the SECOND chapter for Sworn To Vengeance: Courtlight #7. I’m back in the game and focusing on my primary readers. I can’t thank you all enough for the support, love, and emails. The book is coming along and the translations/library efforts don’t need as much of my time now. A REMINDER that this is a first glance at CHAPTER TWO for Sworn To Vengeance. It hasn’t been edited or seen by my betas yet. I’m letting you all read it first. Hope you enjoy and the book is worth the wait! Also a very cool picture to share. 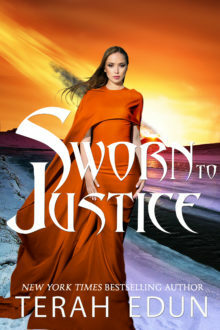 Check out SWORN TO VENGEANCE: COURTLIGHT #7 outselling GEORGE R.R. MARTIN on iBooks. Yes, that’s right! 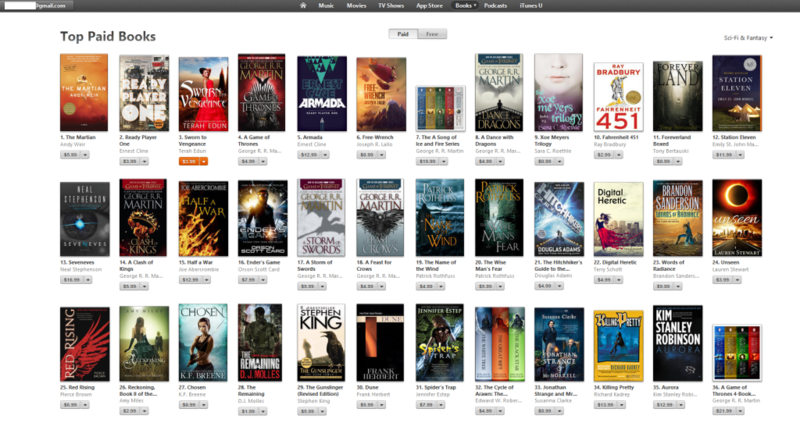 Sworn To Vengeance hit the Top 100 on iBooks Overall and the Top 5 in Science Fiction & Fantasy! If you’d like to read CHAPTER ONE first, go here! She couldn’t readily identify who the voice belonged to, but she was pretty sure it was one of the soldiers. He sounded young but sure. Surer than I’ll ever be about this, she thought with a moment of envy. Turning around she silently walked forward so that she stood shoulder-to-shoulder in a small circle of individuals. She couldn’t see who it was that stood immediately to her right or left but she could hazard a guess…a guess she’d be willing to stake her life on. Perhaps I’m not as unsure as I thought. She could feel Sebastian’s presence to the right of her, singing to her like a bright flute on a summer’s day. Entrancing but closed off. Sebastian could close his mind all he wanted. So could Thanar. But they couldn’t close off their presence. Just as she could feel Sebastian’s bright and strong aura near her, she could sense Thanar’s denser if not darker miasma of power just across the circle. Three steps. Maybe four…and I could… she thought to herself before snapping out of it. Could what? She didn’t know. She didn’t know if she wanted to slap the daemoni prince or kiss him. She didn’t know if he deserved to die or deserved to be free. Free from a promise to the Weathervane family. Free to pursue other obligations. It was actually kind of scary to think of what else Thanar would consider an obligation. At the time Thanar’s mood had been playful, teasing even. And now? Now Thanar reminded her of a caged beast just waiting for an opening. An opening that would allow to devour them all and escape into the night. Not the most wonderful thing to think of when discussing the person you were soul-bonded to. But then again it was Thanar, when was anything ever normal with him? Still. Ciardis thought. We have to try to make this work. For the empire. For its people. We need him to destroy that god. At least she thought she did. The truth was they didn’t know if they could destroy it. They had hope. Hope and allies. Besides which Thanar had been right. She didn’t. She didn’t know a thing about him other than what she had observed in the short time since he’d elected to journey with them from the North. It felt like forever. Yet it also feels as if it was only yesterday when I stood over his bloodied body trapped in a cage. Head shorn. Wings damaged. Even now she couldn’t decide if he had deserved said punishment. He’d ordered his family to their deaths. He’d killed hundreds of refugees. And yet – it wasn’t up to the soldiers in the field to decide his fate. That was for the courts of Sandrin and their emperor-on-high to preside over. “Say please,” was Thanar’s self-satisfied response. Ciardis felt herself rolling her eyes before she could respond. “Enough Thanar,” said Ciardis in disgust. She saw the glowing ball in the palm of his hand flash bright, bright enough for her wince just as a smirk appeared on his face and the ball which had been the size of his palm dimmed and shrunk until it was barely bigger than his thumb. “Those weren’t the magic words,” the daemoni prince said in a slow purr that had a distinctive edge. Ciardis glared. If he thought she was going to kowtow to him he had another thing coming. A snort from her right told her just what Sebastian thought of Thanar’s antics. Curiously though, the prince heir said not a word aloud. Ciardis felt her edge of her lips tilt up slightly in satisfaction. It sounded like the shaman’s fascination with the bat-winged idiot was disappearing as fast as a bird in quicksand. Ciardis grimaced. It wouldn’t do to seem uncertain. Not with this group of alpha idiots that was only a team by the farthest stretch of the word. “An exaggeration, wouldn’t you say?” one of the soldiers murmured. “It never is,” said Thanar in a low, mocking tone. Ciardis heard Sebastian shift beside her as the rustle of weapons leaving sheathes sounded in the air. Sebastian’s or his soldiers, she didn’t know. She grimaced. It was an echo of what she’d said earlier. The same phrase that had started this whole discussion in the first place. It was both a warning and a plea. For a moment there was silence, and then the sound of a sword hilt hitting a metal guard met her ears. She didn’t sigh in relief, but her shoulders definitely slumped with the release of tension. She had been waiting to see if they would follow her orders. She was sure Sebastian had been too. Ciardis had the exact same question on her mind. “And what exactly is sand-hunting?” asked Sebastian. His voice was cool. Ciardis wanted to search his face to see what he was hiding behind a detached tone, but she couldn’t in the darkness. Without a sniping comment, unusual for Thanar, he flicked his hand forward, tossing the tiny marble-like ball of light he’d been flicking between his fingers into the center of the group. Ciardis guess the ‘please’ had done its job. As soon as the small ball of light hit he center, the shaman called up a similar ball which she’d doused before and let it join his side-by-side. Thanar raised an eyebrow, one that Ciardis could see was calculating because of the new source of light in their center. Rachael opened her mouth and closed it abruptly as if she had thought to say something and changed her mind. With an abrupt movement of her hand, the shaman pushed her light into Thanar’s until a ball triple the size of his original light floated in their midst – casting a strong glow that was mostly concealed by the bodies surrounding in a circle. The Muareg, once apart from the circle and within it, took two steps further forward from the position he maintained just in front of the two soldiers acting as his guard. He gestured at the ball of light. Terris waved him forward and they all watched with cautious impatience as he reached forward to grab the larger mage light. Grab wasn’t exactly the right term, Ciardis thought as she unconsciously bit her lower lip and watched his movements with narrowed eyes. Instead she could see that he was resting his hands just to the left and right of the flowing orb. 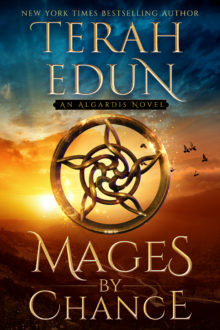 As soon as he did strings of energy leapt out from his palms to connect with the mage light in the center. Ciardis blinked and her eyes flicked over to gauge the shaman’s reaction almost reluctantly. Ciardis needed to know how Rachael felt at this moment, even if she disliked her and she had her reasons to, the shaman was the foremost expert on the being in front of them all. Especially since Raisa had clammed up like a mussel since night had fallen. At least the light had one good use so far. It finally made the nuances of everyone’s facial expression visible in the night once more. Unfortunately for Ciardis, the shaman who stood to Thanar’s left and across the circle from Ciardis had an impenetrable gaze. It was like watching water flowing down a glass pane from the inside, she couldn’t touch her thoughts or emotions. Just a steady reflection of contemplation. Ciardis grimaced and had the uncharitable thought that if everyone in the group continued to keep to themselves like this, they’d be worse off than when they’d first come. Reluctantly she dragged her gaze away from the shaman and the perplexing dragon ambassador next to her and back to the Muareg with lightning jumping from his palm to the mage light and back again. Slowly the mage light began to waver. Ciardis assumed that meant the sand dweller was taking control of the magical essence that formed the ball. As it wavered the light stretched and dimmed into a soft glow. The glow spread out like putty between the Muareg’s fingertips until lightning no longer spread between his palms and instead a web of power lay on a horizontal plane as if he had spent the afternoon weaving a glowing net of silvery white light. “What’s he doing?” Christian finally demanded. “And this will help us do that how?” Ciardis asked cautiously. Ciardis felt confusion rise in her chest as she dragged her gaze away from the glowing web between the Muareg’s fingertips and up into the enraged vision of a dragon whose eyes had transformed from a calm human-like gaze to the red slits of a Sahalian enraged. “I’m guessing you object,” Ciardis said quietly. She wasn’t even sure she knew what the dragon was objecting to. A theory? A magical trick? An unknown path. “You guessed right,” said the dragon ambassador with a snarl. Ciardis and Raisa turned to Terris at the same time to watch the woman known as Kithwalker impatiently toss her beaded braids over her shoulder with a shrug. “I don’t care if you object,” Terris said with an uncharacteristic bravado that had Ciardis’s eyebrows raising in awe. It wasn’t often that you saw someone bluffing a dragon. Not someone who wanted to live anyway. What exactly is that? Ciardis wondered. Before she could blink something started to happen with the flattened plane of light and Ciardis’s eyes widened as she let out an involuntary gasp. She watched as the silver web solidified and raised above the Muareg’s hands like an architect’s rendering made of the moon’s rays. Buildings rose between and over his palms. An entire landscape of dunes and walls appeared to encase his hands. It spread with quick precision and they all watched as a beacon of light emitted from the tallest building in the city straight towards Ciardis Weathervane. It stopped inches away from her chest and the straight line frayed into a network of fragments. A path of light now lay before her and the glowing city in the Muareg’s palm. A light that led directly from the dune they now stood on, down through the valley of armed brigands, and up under the miniature version of the walled city of Kifar. Thanks Anna – happy to have your thoughts about the chapter! Hi, first of all I am a big fan of your work. I have read all your books in the spotlight series 1-6, imagine my dissapointment when I pre-order book 7 of the courtlight series, I was so excited when But something must have happen, some how is book 6 again word for word. I have called Apple to get my money back. Hopefully is a glitch, but I think you should find out why I would get the wrong wording for book 7. Any input would be appreciated. Thank you so much for another little taste. I’m still salivating. Can’t wait for the book to come out. Your writing transports me right into the story. I know so many people hate Thanar & he’s done despicable things, but I believe there is more to him. Desperately hoping he turns out surprising us. Really enjoy the court light series , can’t wait for book # 7 ,keep up the great work .